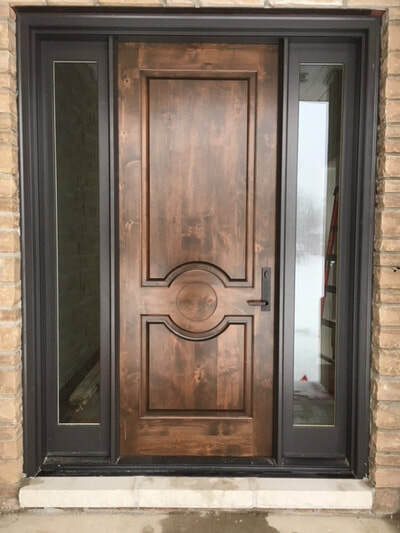 Maple Leaf's insulated exterior doors leave an impression that lasts. Built with engineered construction frame with a 3 ply wood insulated panel sandwiched with a polyiso foam insulated core. 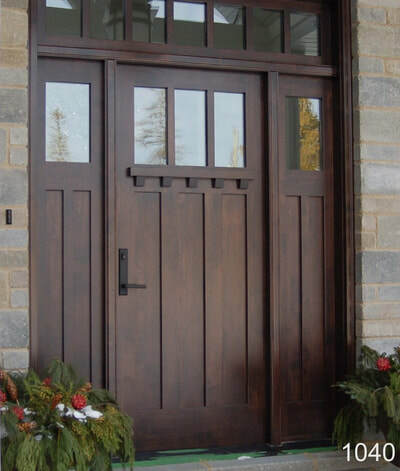 The door frame and sidelites are of matching wood interior and exterior of heavy extruded aluminum. 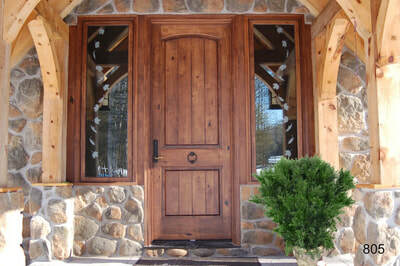 Exterior aluminum comes in a choice of 50 colors for the most durable maintenance free wood door system. 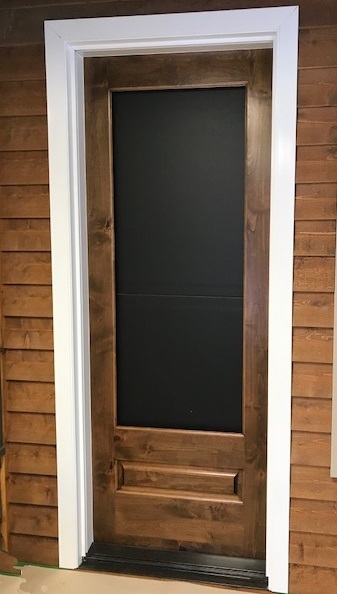 All doors are on a self draining hydro sill--keeping the outdoors from entering to the inside environment! Available in many wood species and styles! 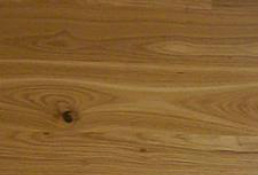 All Wood Species available, not limited to the following selection. intervals. 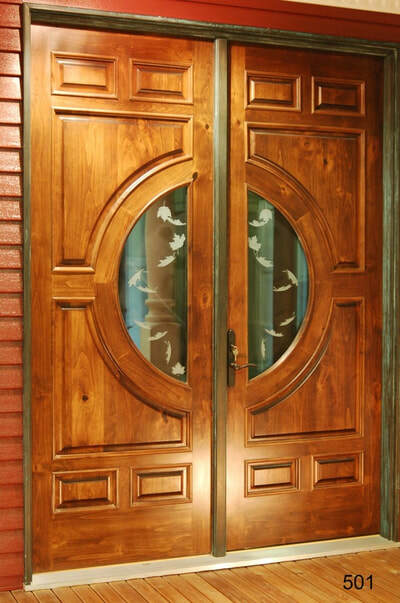 With its durability, Sapele is one of the most desired woods for manufacturing doors, windows and flooring. 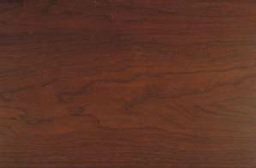 Knotty Alder generally appears with light brown tones with hues of darker brown and red tones. Knots appear and vary in size, shape and color giving it a warm somewhat informal appearance. 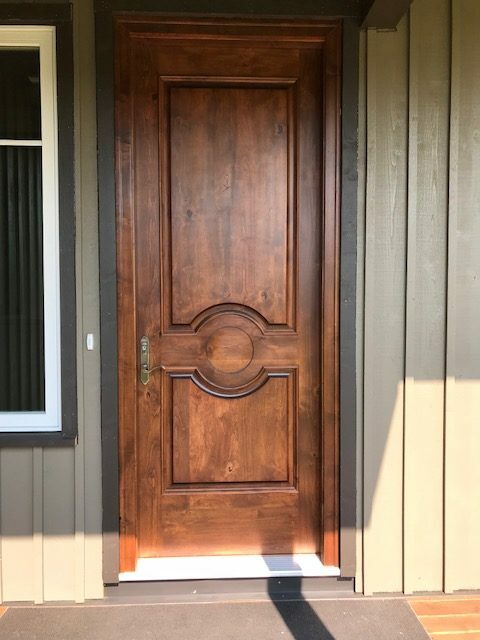 Originating from the Pacific Northwest of the U.S., Knotty alder with its strong grain pattern and natural appearance is also a much sought after wood grain for doors, windows and flooring. Cherry is found within the Midwestern & Eastern U.S. It varies in color from rich red to reddish brown. It also darkens with age and lightens with exposure to light. 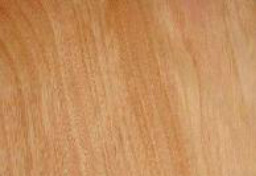 Cherry wood is medium density with good flexibility and strength which makes it easy to work with in manufacturing. 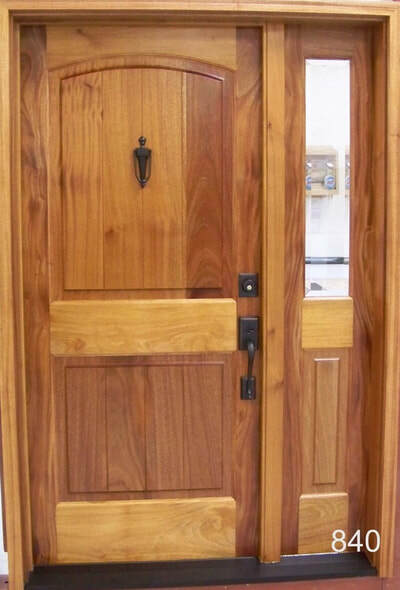 With its fine uniform and straight grain, cherry is often found within the wood door industry, cabinetry and flooring as the beauty of this wood creates a satiny smooth finish. Okoume is primarily found in west-central Africa. 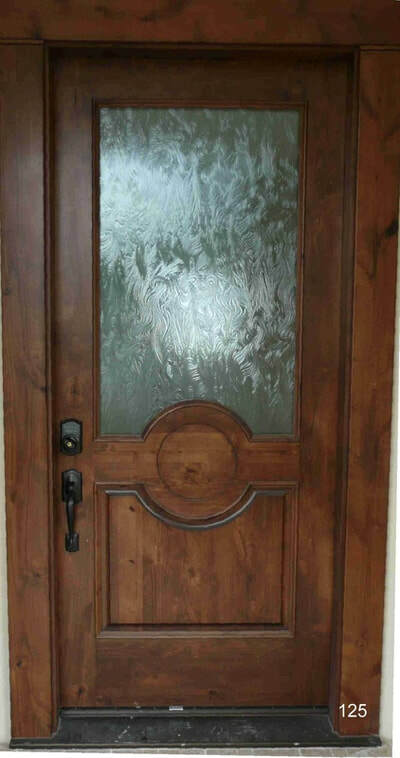 Its very similar to that of Mahogany. 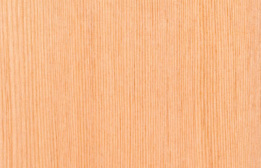 The characteristics of this wood display a lustrous pinkish-brown to light red color with fine uniform texture. The grain is straight and slightly wavy with some interlocking grains. 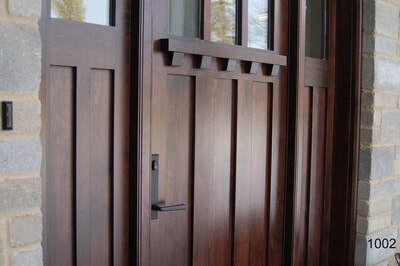 Okoume tends to be soft, but is easy to work with and stains very well--making a great species for wood doors. 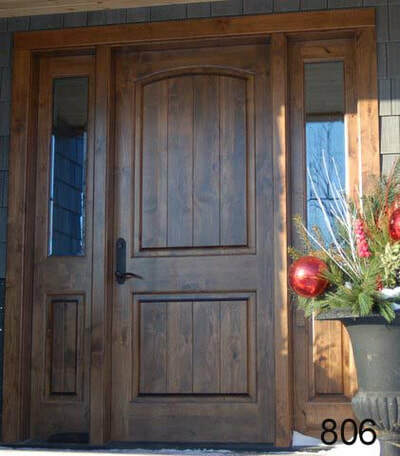 Douglas Fir is found in abundance in the Coastal Regions of Oregon, Washington and Northern California. 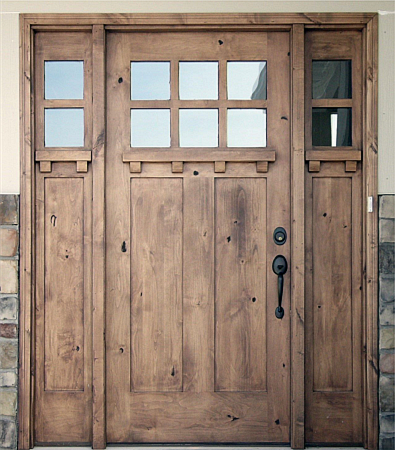 It is known for its very handsome straight grain and pleasing rosy hue. 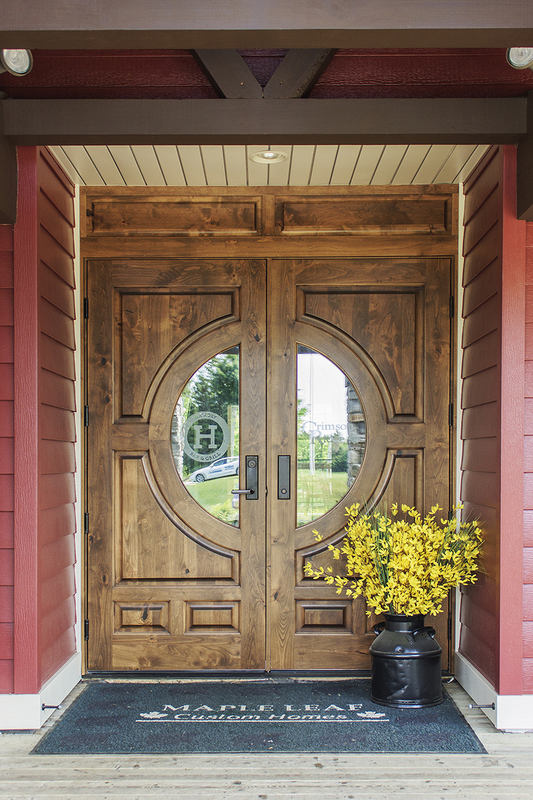 Various types of species of Hickory are found throughout the U.S., Canada & Mexico. 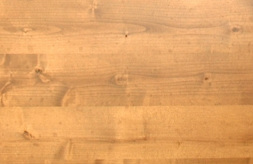 Hickory is very hard, stiff, dense and shock resistant wood. 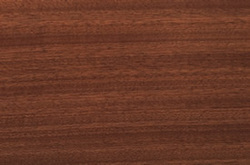 Color varies from a tan to a reddish brown with sapwood that is lighter cream and white tones. 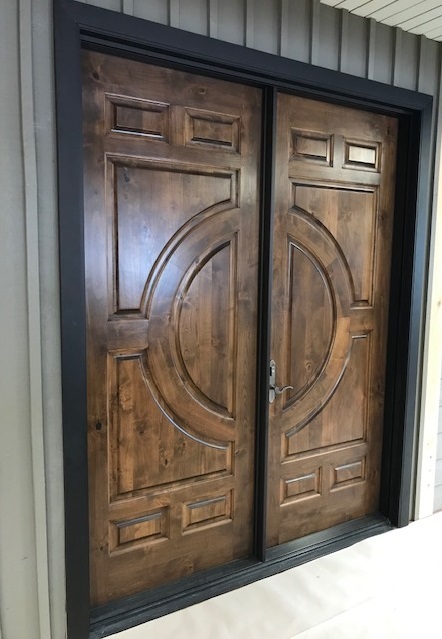 The grain can come in both straight and wavy textures and can present natural imperfections such as knots throughout the wood grain. 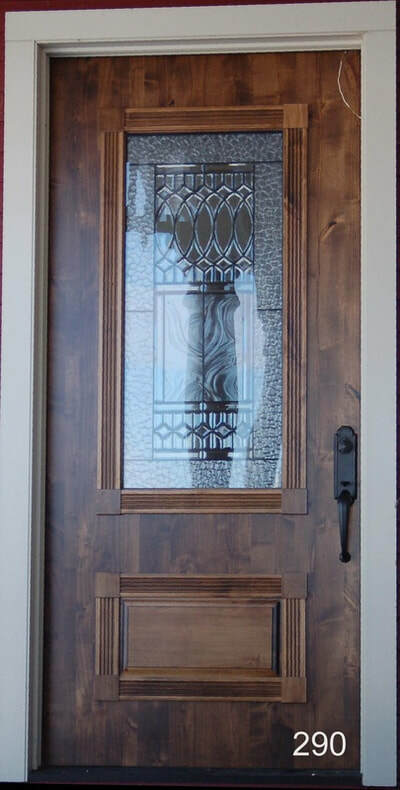 DML 500 Knotty Alder Door with custom glass. 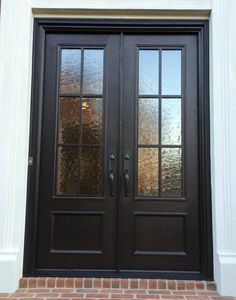 DML 200 Knotty Alder Single Door with Choice of Glass (glass not shown). Our Corporate Office is located within Ontario, Canada, but we will ship throughout North America. 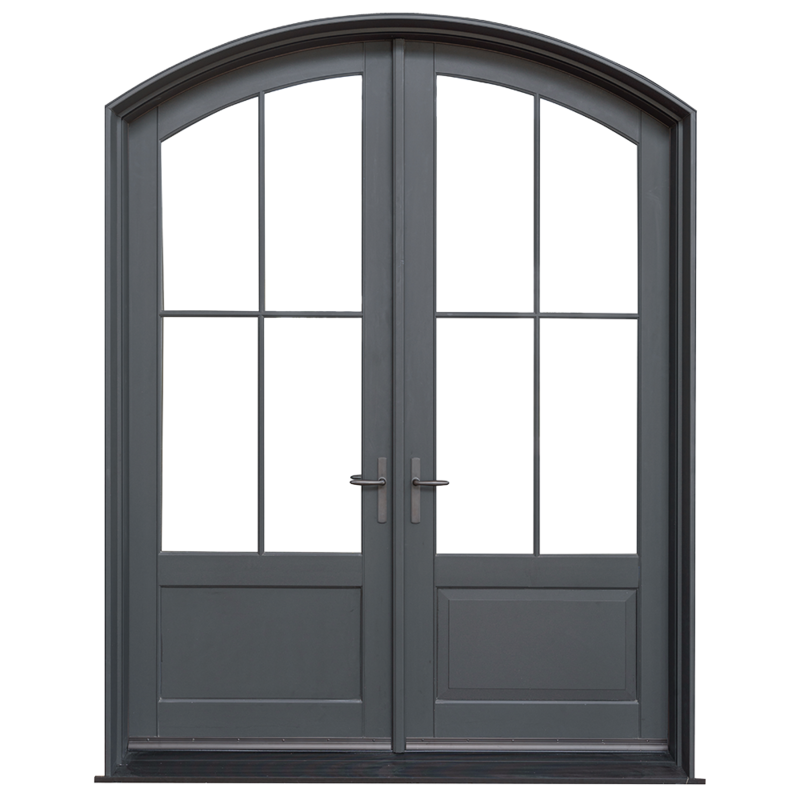 For further product information, contact us or fill out a form to request a quote.